Scheduling seven days a week, InterNACHI Certified, Serving the entire New York Capital District, Berkshire county, Western Massachusetts, and Northwestern Connecticut. We handle all levels of Residential and Commercial Property Inspections, including Pest Inspections, Radon Testing, Well and Water Testing, and Mold Assessment. 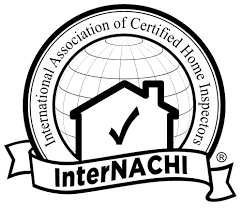 The only Home Inspector to call if you are buying a home or if you have a home for sale! To assist in the home buying process by providing the highest quality reports delivered in the clearest possible way. Our reports are delivered on time and online, so you can move forward with turning the house you found into the home you love! Great, thorough home inspection of my Investment property. Sent me report the next date in a very easy to read and to work with format. I would use Donald again on my next purchase. I was very pleased with a multi-family home inspection that I received from Carey Home Inspection. He was thorough, prompt, and went above and beyond at looking at the little details. I got the report by the next day, as promised. He was also realistic about what 'issues' were truly issues and which ones were not that big of a deal. Great job! From start to finish he was efficient, friendly, and very knowledgeable. His pricing was very fair and ended up being less than what I would have paid with some of the other inspectors I considered (even including the water test he did!). My real estate agent even commented on what a pleasure he was to work with and will be recommending him to future clients.